In the frame of its Social Programme, Synapse has sponsored the AFASAF, a non-profit association of families affected by Fetal Alcohol Spectrum Disorders (FASD). 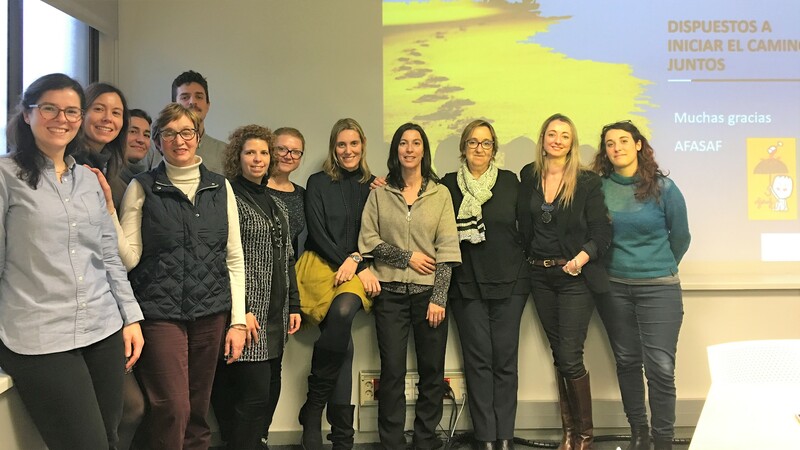 Last Thursday members of AFASAF have visited Synapse’s premises to explain more about the FASD and the association’s activities. FASD is a lifelong condition relating to permanent brain damage caused by fetal alcohol exposure. The syndrome often goes undetected or misdiagnosed, or even blamed on poor parenting. Most children with FASD have significant cognitive, behavioural, and learning difficulties, including problems with attention, cause and effect reasoning, impulsivity and adaptive functioning difficulties. FASD has a great impact, not only on the life of the person suffering from it, but also on their families. The main objectives of the association are to improve the quality of life of the affected people and their families and obtain the official and social recognition of the Syndrome. AFASAF intends to raise awareness, sensitize society and promote the need for early detection and correct diagnosis. The association also aims at promoting research and investigation in the field, and professional training of the medical practitioners. More info on their activities and initiatives at http://www.afasaf.org/. More on the Synapse Social Programme here.